At Sharper Edge Anti-Aging and Rejuvenation Clinic you will experience the next phase of medicine. Traditional medicine focuses on diagnosing an illness and then managing the symptoms of that illness. The drugs available to manage a patient’s illness, while helpful, often have side effects or are less effective than we would have hoped. This one size fits all approach to medicine has been helpful in alleviating pain and mitigating the effects of the illness but has its limits. In our anti-aging clinic we practice Integrative Medicine. Using state of the art testing and diagnostic equipment we are able to look at each patient as an individual. Using proven diagnostic technology such as salivary, blood and genomic testing we can often predict a disease before it happens and work with you to create unique lifestyle changes, including diet, exercise, nutraceuticals and prescribed medications designed to arrest or limit the chances of developing those particular diseases. We are U.S. trained, including specialty training in the field of integrative medicine. We augment your existing medical team by exploring diagnostic and treatment options not usually considered by most allopathic physicians. Here at Sharper Edge Anti-aging Clinic in Breckenridge, we offer services designed make you feel better and become healthier inside and out. Meg Brucker is excited to team up with Dr. Wallace Brucker, MD to bring Integrative and Anti-aging Medicine to Colorado. She knows the residents and seasonal guests of Breckenridge enjoy year-round sport opportunities and world class skiing. We believe keeping our local “athletes” and our visiting enthusiasts feeling great is important. Sharper Edge Anti-Aging and Rejuvenation Clinic in Summit County is designed with those guests in mind. Meg Brucker is a graduate from the University of Texas in Physician Assistant Studies and is board certified through the NCCPA. She is currently enrolled at the University of South Florida working on her Master’s degree in Integrative Medicine. Meg is also a diplomat with the American Academy of Anti-Aging Medicine and is board certified in Integrative Medicine. Meg and Dr. Brucker are certified researchers with Cell Surgical Network, Palm Springs, California and Ageless Institute, Aventura, Florida. Dr. Brucker is excited to bring Integrative Medicine to Colorado. 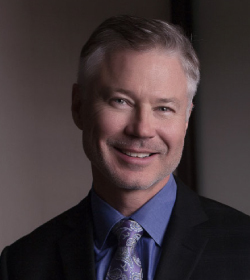 He knows the residents and seasonal guests of Summit County enjoy a robust lifestyle and keeping them feeling good is what Sharper Edge Anti-Aging and Rejuvenation Clinic is all about. Dr. Brucker is a graduate of the United State Military Academy at West Point with a doctorate of medicine degree from the University of Texas. He is board certified in Orthopedic Surgery and is a fellow of the American Academy of Orthopedic Surgeons. Dr. Brucker is also a fellow of the American Academy of Anti-Aging Medicine and is board certified in Integrative Medicine. Dr. Brucker and Sharper Edge Anti-Aging and Rejuvenation Clinic are certified researchers with Cell Surgical Network, Palm Springs, California and Ageless Institute, Aventura, Florida.